The historical imagery time slider will appear just beneath the toolbar. The tick marks on the slider represent images in our database that are available for your current view. Drag the slider with your mouse to flip between images from different dates. In the below example, you can learn about how a refugee camp has changed in the months since the earthquake. We’ll continue adding new imagery to the database as it becomes available. We also now have new imagery of the Yazoo City, Mississippi area, where a devastating F4 tornado tore through the town over the weekend. 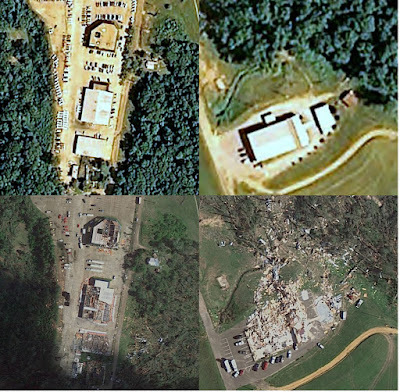 We are making the imagery available as a Google Earth overlay, which we hope can be helpful for responders and those affected by this tragic event. While we're not able to publish imagery after every disaster around the world, we appreciate the work of our partners and providers to help make this imagery available whenever possible. 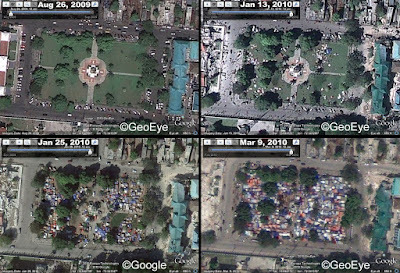 To help support ongoing relief efforts in Haiti, we’ve been working with our satellite partner GeoEye to capture updated imagery of Port-au-Prince. As the rainy season approaches, it’s important to have current imagery in order to help aid workers identify and monitor the numerous refugee camps that have sprung up. 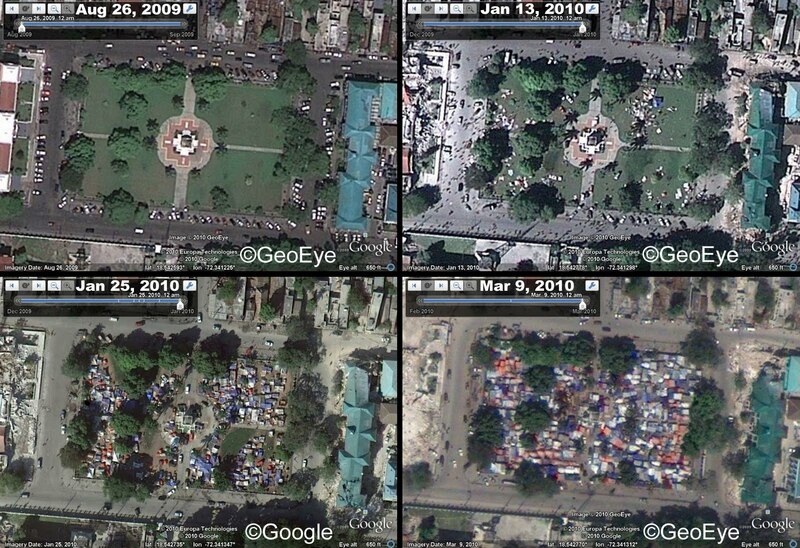 You can access the new Haiti satellite imagery by using the Historic Imagery feature in Google Earth. Simply open Google Earth and click on the clock icon in the top toolbar.